Rupiah Banda should form his own party and stop “ubuloshi” | Elias Munshya, LL.M, MBA, M.DIV. No one should ever defile Rupiah Banda’s right to aspire for the presidency. He is a very old man, but he is a citizen nevertheless with full constitutional rights to stand for the presidency. Our constitution gives rights to babies as well as very old men and women. However, what is really offensive and unacceptable is corruption, theft, treachery, nepotism, and “ubu loshi”. You might ask me what is “ubuloshi”? I do not mean that RB ni ndoshi, here is my definition of political “ubuloshi”. Going behind the back of an elected leader and engineering a “political comeback” by poisoning the minds and hearts of the very people that were responsible for the failure of the MMD in the first place. Handing the torch of leadership to the young is not easy. It requires great discipline from the old. It is remarkable that Mandela did it. Banda has the right to contest on his party which he and Mulusa will form, but he should not bring this confusion and tumult to the MMD. Why should these UNIPIsts be allowed to kill the MMD just like they killed UNIP? 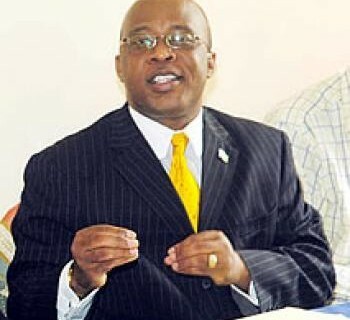 Nevers Mumba could not have come up with any magic to change the declining fortunes of the MMD within 3 or 5 years. It would take time and sacrifice and discipline. Evidence is there to prove that parties usually decline when they have a transition in the presidency. The same happened to UPND, but UPND is on the upswing, do you know why? It is because, they kept the young HH even when everything was showing that he was losing it, and now the UPND is being rewarded. The same should happen to the MMD. Give Mumba a chance. A chance to make mistakes. A chance to be himself. A chance to reinvent the MMD. A chance to work on himself as a leader. A chance to be a true political candidate. But even before he could even cough, Rupiah the poisoner Banda wants to come back through the back door. So what happened then to the speech RB gave in 2011. What happened to all those lectures he gave at Boston University ? This is the problem when a leader hires speech writers to do speeches for him. RB is not committed to any thing he read because the speech was just written for him. My advise to RB is to go back to his lectures at Boston and to reread the speech his consultants wrote for him in 2011. As for Mulusa and all the young like him, it is disappointing, very disappointing to say the least. For now, we await the formation of a party of Mulusa, Muhabi Lungu and RB because Nevers Mumba is likely to win the court case. If the MMD is not happy with Nevers, wait for the general conference and vote him out fairly. Not this game. If Nevers is being disrespected because he is a former pastor, then we all who are connected to churches should be very concerned. You killed MMD. You stole using MMD. You did all sorts of wrong using the name of the party, and now that you wanted someone to lead you you went begging to Nevers and you elected him overwhelmingly. It is shocking that you want to kick him out and bring back the very guy who made MMD to lose in 2011. Ninshi? Sata afwa and Rupiah Banda feels like he can bounce back?